A Southwest Airlines plane lands at the Philadelphia International Airport. 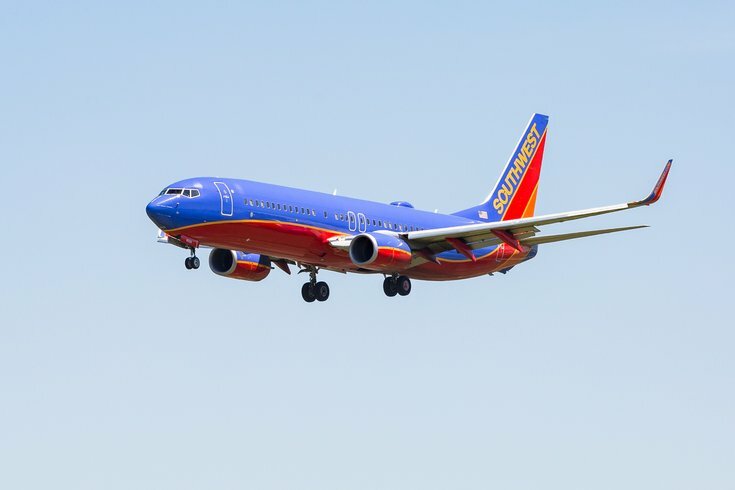 Philadelphia travelers looking to plan a trip have a limited window beginning Tuesday to book low-fare flights with Southwest Airlines to several U.S. destinations. The airline launched a nationwide 72-hour sale on Tuesday that includes eight flights from Philadelphia International Airport, including all taxes and fees. The sale applies to flights booked from Nov. 28-Dec. 29 and from Jan. 3-Feb. 13. Below are the deals out of Philadelphia. The fares listed above are only valid on nonstop flights and fares are nonrefundable. Seats and days are also limited. Travelers must book their flights by the end of Thursday in their respective time zones. The deals out of Philadelphia can be found here.